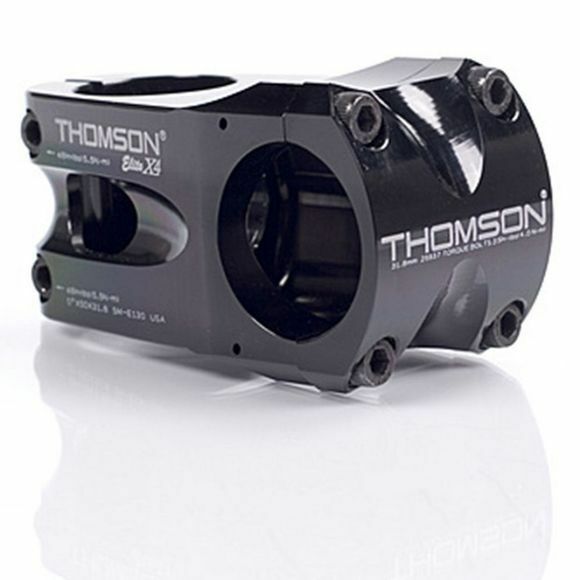 The Thomson Elite X4 OverSize 31.8mm is a stem designed for Mountain Biking. A great all round stem to fit 31.8mm handlebars and offers the best combination of strength and weight available. Solid one piece 7000 series aluminum extruded billet precision machined by Thomson in our Macon, Georgia factory. Built and tested to the same standards as our aerospace parts.